When you think of Manifesting your ideal life do you feel like someone keeps pricking your “law of attraction” happy go lucky filled balloon? Great parking spots come easily to you and once in a while you attract cool experiences into your life, but by golly you just can’t seem to consistently manifest what you really want. Don’t abandon the promises of the Law of Attraction theory just yet, it does work and when properly applied, you truly can manifest anything you desire. If you are like most people, while you believe that the law of attraction works, your manifesting results could use a boost. Something seems to be missing and you can’t quite figure out which part of practicing the Law of attraction theory should be tweaked. Here a few tips that will help you AMP up your manifesting skills consistently. 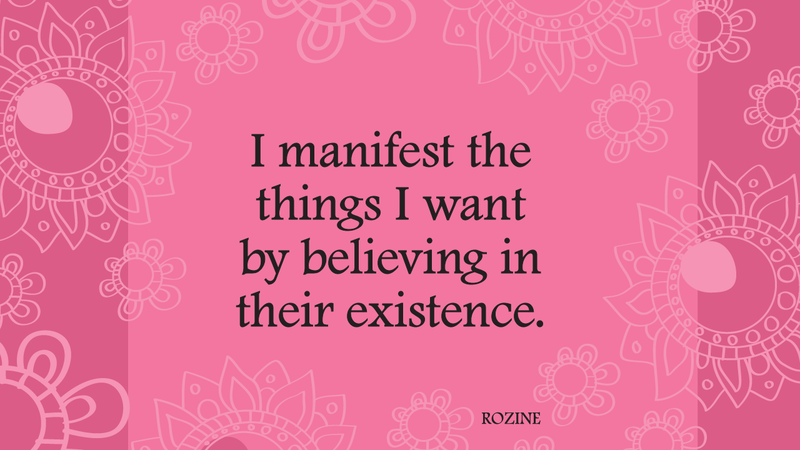 Believing that you can receive what you want is the first step to manifesting it. Without belief, the entire theory of attraction fails. Unfortunately, we can’t hide out behind our lack of believing that we can have what we want, this could be the biggest reason your desires manifesting are being delayed. So how do you start believing? Ask for what you want, by writing it down and then watch every day for clues the universe is bringing it to you, as your evidence mounts your belief strengthens. Check out our easy to follow 30 day Manifesting Your Riches program for help setting Intentions and Manifesting. The idea sounds preposterous, why would the powerful UNIVERSE need your help? Well think of it this way, at any given moment there are several billion people emitting requests to the universe, a little clarity on your desires goes a long way. When you have a desire, express it in writing as an already manifested intention. What’s your gratitude meter reading these days? To manifest consistently, being in a state of constant gratitude is a MUST. While expressing gratitude for what’s in your life today is a great start, the power to manifest lies in your ability to have deep and profound gratitude for your desired requests, just as you would if you had them now. Try these on for size and see how easy consistent manifesting can really be.